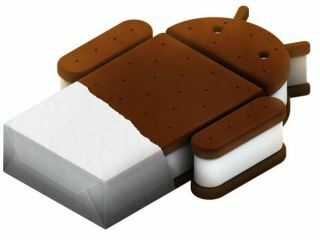 Sony Mobile Communications has released a preview beta ROM for Android 4.0 Ice Cream Sandwich. The company is making good on its promise to update all Sony Ericsson Xperia phones to the latest version of Google's Android operating system. Sony recommends the preview for "advanced developers only", and you'll have to unlock your phone's bootloader if you want to give it a go. Sony provides the tools to do this, but simultaneously warns that you "may void the warranty of your phone." Giving with one hand and taking away with the other, eh Sony? The beta ROM is best suited to the insatiably curious, though, as it's more of a sneak peek than a usable update. As it hasn't yet passed the Google certification process, there are no Google apps available (including Gmail), and Wi-Fi and Bluetooth are both unavailable. What you do get is a look at added lock screen functionality that offers up music controls and access to the camera app without unlocking, and a new quick dial feature. New Ice Cream Sandwich-flavoured UI elements are also present and correct. At this rate, Sony Mobile could well be on course to deliver the full Android 4.0 update in March. To get a closer look at the beta preview, you can check out the SonyXperiaDev Youtube vid.